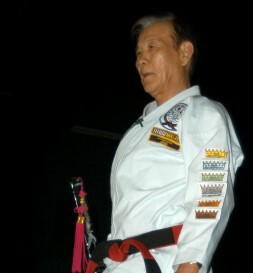 He was born in Korea in 1936, and began his long and distinguished career in martial arts at the age of twelve. During his childhood, an unknown monk initially inspired in him a strong desire to learn martial arts. Later, he joined Seoul Moo Duk Kwan central gym and began serious study under Grandmaster Hwang Kee, founder of the Korean Moo Duk Kwan system. By the time he was 1st Dan, he had already started his teaching career as an assistant instructor at the central gym. After that, he taught at Korean University, Seoul Central YMCA, various colleges, and many police and military institutions. His many years of teaching experience and his extreme dedication have added to his scientific and unique methods of teaching Tang Soo Do. His six fields of expertise include: self-defense, forms, breaking, weapons, health care, and meditation. He has evolved these separate arts into one of the finest and most effective martial arts: The World Tang Soo Do system. The year he came to the United States of America, Black Belt Magazine honored him for all time by devoting a full chapter to him in the book, "20th Century Warriors," putting him in the company of the most legendary martial arts figures ever. Grandmaster Shin, one of the most respected and well-known masters in this century, is one of the few masters who has devoted his entire life to the traditional martial arts. He established the U.S. Tang Soo Do Federation in 1968 at his first school in Burlington, New Jersey. The organization expanded to all parts of America and foreign countries, but because of new international demands, he had to restructure the organization. He then created the all-new World Tang Soo Do Association with 12 member countries and on November 13, 1982, the Charter Convention proclaimed him Grandmaster. 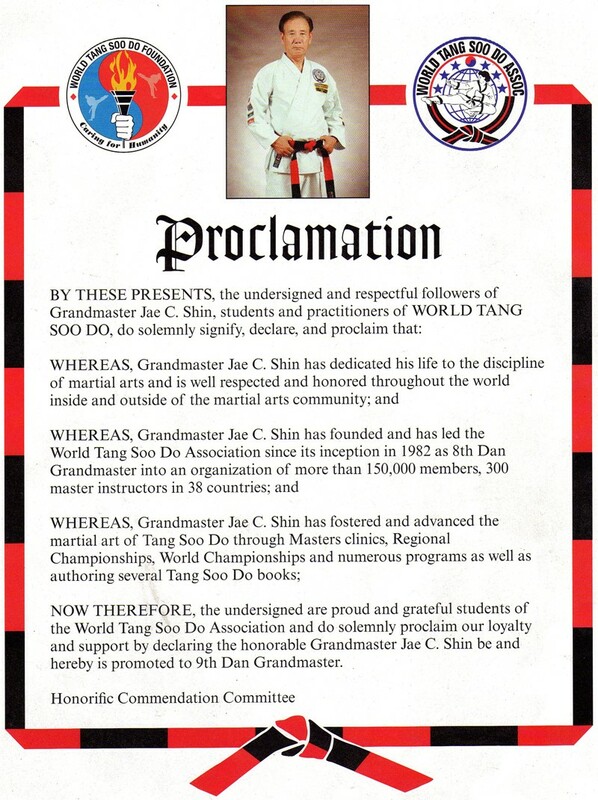 In July of 2010, at the World Tang Soo Do Association World Championship in Greensboro, North Carolina, Grandmaster Shin was officially promoted to the rank of 9th Dan, the highest attainable rank in the World Tang Soo Do Association. This rank was awarded to Grandmaster Shin by unanimous proclomation of all members of the World Tang Soo Do Association, after leading us as an 8th Dan for 28 years. In addition to insisting on disciplined, rigorous training and exacting techniques, he has always preached that the true value of martial arts training is in the application to everyday life. Teaching children is one of his favorite pastimes and he has become an expert in child development. His advice to his Black Belt instructors is good advice for teachers of all kinds: "When examining your abilities as an instructor, examine your young student's manners, attitudes, school reports and health conditions. Their improvements should mirror your own." Grandmaster Shin raised three mottos for his leadership of nearly 8,000 black belt members: TRADITIONALISM, PROFESSIONALISM, and BROTHERHOOD. He brings these qualities with him wherever he travels and teaches across the world. Grandmaster Shin is respected as a true leader, teacher, and master of masters. 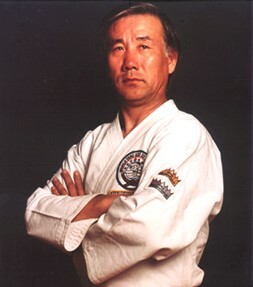 On July 9, 2012, at 9:43 A.M., Grandmaster Shin passed away. His family was there with him up to the last. He passed peacefully in his sleep. It was a devastating blow to all who loved and respected Grandmaster Shin. It is up to each one of us who loved and respected him to remember his life of integrity and leadership, to hold fast to our unity, and to carry on his mission to spread Tang Soo Do throughout the world. As a final gift to all of the masters, instructors, and students of the WTSDA, this timing allowed many of us to be together at the World Championship and Grand Opening of the WTSDA Headquarters in order to both mourn his passing and celebrate his life. As his son, Robert Shin, stated in his moving eulogy, "every time you call 'Cha Ryut! ', every time you ki hap, everytime you shout out 'Tang Soo! ', you speak with his voice. YOU are his legacy."